Here at Reading with Your Kids podcast, we’re always on the chase for our next extraordinary read, so you can imagine how excited we are about Samantha Caprio-Negret’s book for middle graders Rainbow Crystal: A Children’s Fantasy Book, a beautiful story that helps children find hope and strength in stressful times. 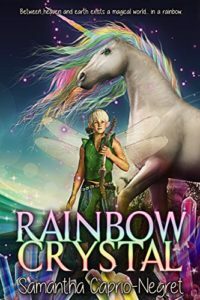 In celebration of her latest released book, we spoke with author Samantha about her inspiration for Rainbow Crystal, her writing process, What does she want readers to take away from her book and, her upcoming projects. Here, Samantha details her magical experiences as a child and how it influences her writing. 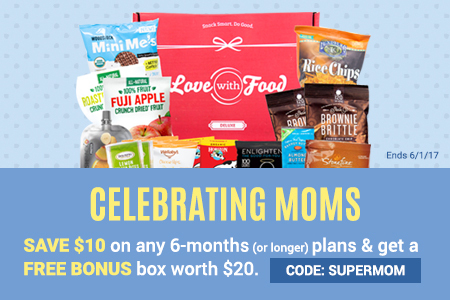 We’re sure you’ll love it as much as we do! I graduated with a BS in Journalism from Florida International University in 2003. I wrote and reported entertainment scripts that were aired on FOX WSVN 7 in Miami, FL and OWL Radio at Florida Atlantic University in Boca. I am passionate about writing and have been writing short stories and poetry for as long as I can remember. I began writing children’s stories in 2004 and even wrote and finished a screenplay. In addition to RAIN-BOW CRYSTAL, I also completed a 18,000 humorous animal-talking chapter book called MURPHY: THE PHAT CAT. My 136-page screenplay, BLACK HAND, is based on a true story about my Italian great-grandparents and is currently being shopped in Hollywood with an executive producer and entertainment lawyer. I am also the VP/Director of PR for a charity called Rainbow Guardian, which serves the intellectually chal-lenged/developmentally disabled population, including autism. Mainly, I’m a busy-bee, be-ing a wife and mother of two small children. You can also find me enjoying reading, work-ing out, blogging, baking, spending quality time with good friends, and/or traveling, when-ever I can find extra time (usually one of those activities accompanies a cup of coffee or glass of wine), minus the working out part. However, there are always exceptions. I also have three bulldogs and one white fluffy cat named Gracie. She’s our princess. I have a lot of love around me and feel very blessed every day. Finally, where can we find Samantha on the internet? The tragic loss of ten-year-old Seraphina’s best friend, Josie Lee, leaves Seraphina questioning her destiny until she learns she’s the chosen one. Everything changes after that. Fate has other plans. A past visit to a psychic and a wish on a shooting star whisks Seraphina away on a quest. She finds herself on a mission to gain order back to a magical world called Raiven with it’s six different, colored- realms by returning a rainbow crystal back to its wizard owner that was stolen from an evil witch and her trolls. Seraphina will get to see her best friend’s spirit with the help of fairies, pixie dust, elves, and her very own unicorn. Throughout her journey, she passes a series of tests to find a rainbow crystal that has the power to restore balance to the world. However, Seraphina’s truest test is in discovering self-confidence and hope. Most importantly, she learns that Josie Lee is more of a guardian angel to her than she realizes and has never really left her side after all. It doesn’t even require magic, just a little faith. What advice would Samantha like to give to all the kids like Seraphina, who have lost their loved ones and who questions their destiny? Why did Samantha think it was important to tell this story? What is she currently working on now and much more. A big Thank you to Samantha for doing this Interview! Listen in as Samantha answers questions from Jed that will help readers understand what inspired her story & and the exciting new book she’s working on now! PreviouslyMeet “The Gravedigger’s Son” by Patrick Moody!